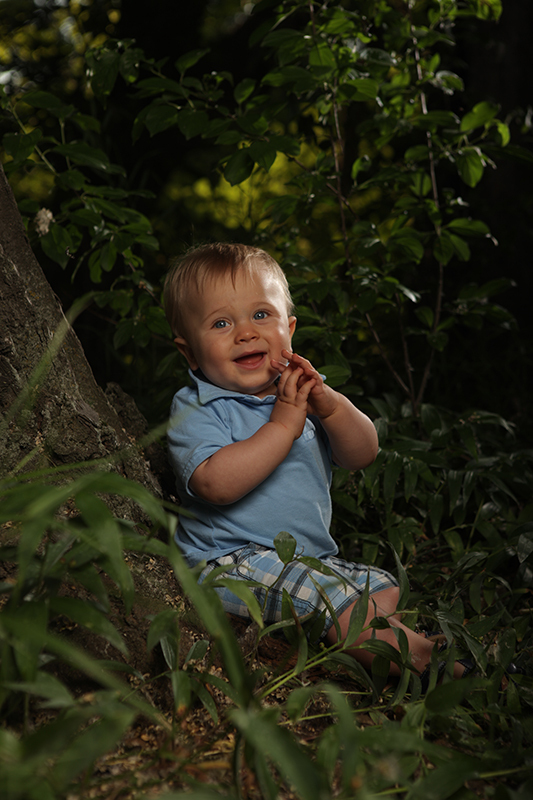 Over the summer I had the great opportunity to do the one year photos of a cute little boy. His mother was actually one of the great women that have worked with my son while he was in grade one. It was good to see her again and to help visually capture her son's personality. 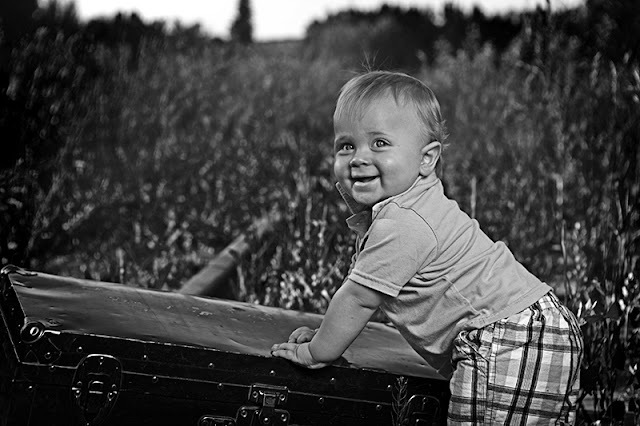 This little guy just would not stop smiling. He was great to work with and his parents had some good ideas about what they wanted. 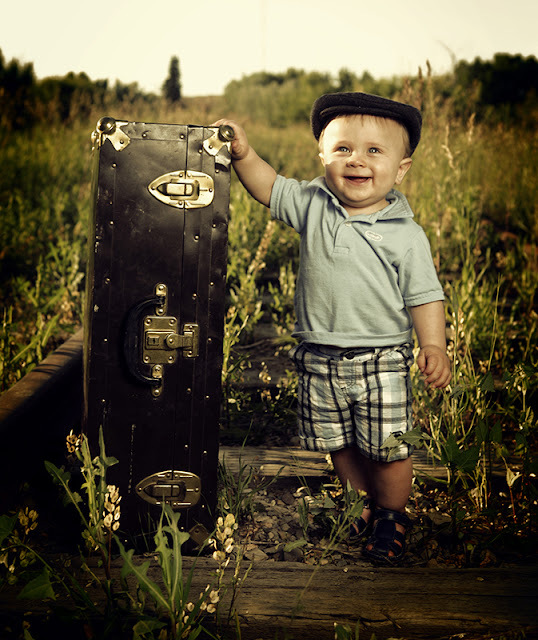 His mother wanted to shoot on some railroad tracks right from the begining when she booked the session. Photographing kids can be really easy in some aspects because they are so cute but they can be a cahllenge in many others. For example, children like to move and dont't take direction very well at times so you have to be quick and try to keep their attention on you or a parent that is situated close to the camera.